Arthur E Walker & Co is an accountancy practice which acts for small and medium sized businesses. In addition to the traditional accounts preparation and the completion of tax returns, the Skipton-based practice also provides VAT and payroll services, together with tax planning. 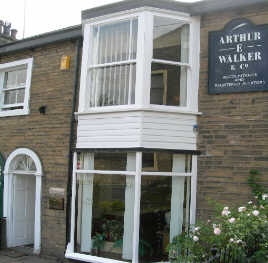 The firm was established in 1982 by Arthur Walker. Since then, the practice has expanded and moved to larger premises in Water Street. In 1987 Arthur's son, Andrew, joined the office from Price Waterhouse in Leeds. Andrew is now the sole proprietor of the business, and his father is now retired. Andrew is a Chartered Certified Accountant (FCCA) and deals with the majority of the clients. The practice provides a personal and efficient service and many of the clients have been with the firm since it was established. It has a wide range of clients, including builders and developers, farmers, retailers, engineers, health consultants, etc.